Travel Photography- California Adventure — Love & Adventure Photography- Baltimore Maryland Wedding & Adventure Photographer. I am in love with the West Coast... from Alaska to California. The nature, wildlife, food, and the people call to me overtime I travel there. Today, let's venture to Northern California. If you've never been to San Francisco you are in for quite the treat. Being greeted by the Golden Gate bridge is just the beginning of your adventure. San Fran has so much to offer for all travelers. If your a foodie this city has some of the top rated restaurants in the world including some of the best sea food. (Check out this article on the Eater's guide to San Fran. ). I personally loved the bacon wrapped hot dogs being sold by a local street vendor and of course Ghiradelli's ice cream! San Francisco is also perfect for Adventurers & Wildlife Lovers. While the Aquarium of the Bay isn't my favorite. (Monterrey Bay's is much cooler). It is a great place to go when it's raining. I highly recommend going over to Alcatraz and doing the night tour. You can take an Audio tour to learn about the history of the prison and the prisoners that served time there. It's really interesting to listen to their stories while your walking by their cells. The night tour tickets sell out really early so unless you want to wait on a standby line I would order them at least 30 days in advance. I've been to San Fran three times and each time has been so different. The first time I went was to run the Nike Women's Marathon. 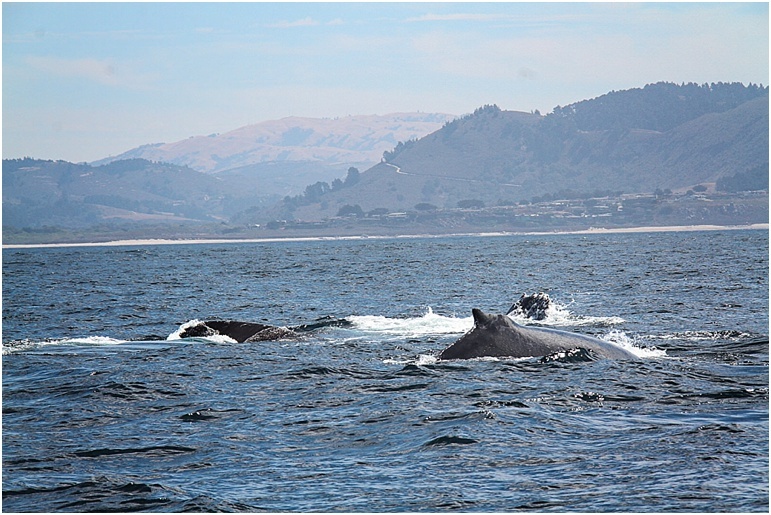 On this trip we went on a whale watch to the Farallon Islands. 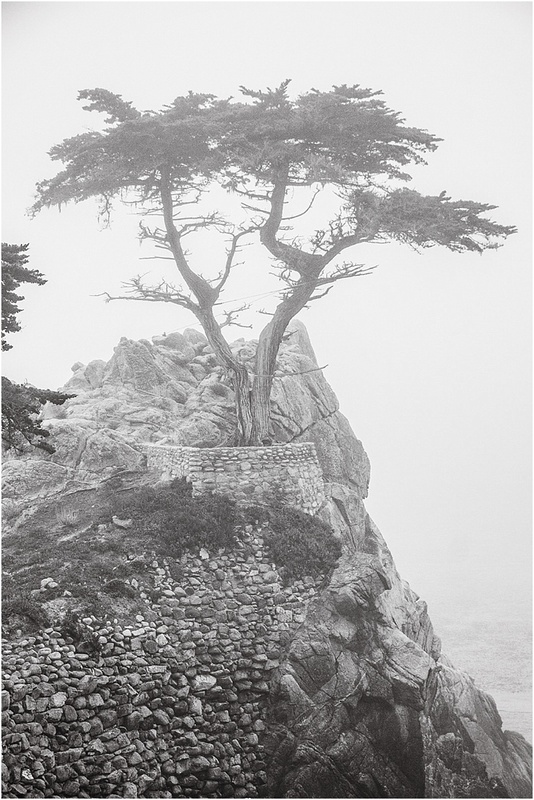 The Farallon Islands are a protected wildlife preserve. It's a great place to see all sorts of Whales, Elephant Seals, and the highlight...Great White Sharks! It's one of the 4 places in the world that you can cage dive with Great Whites! 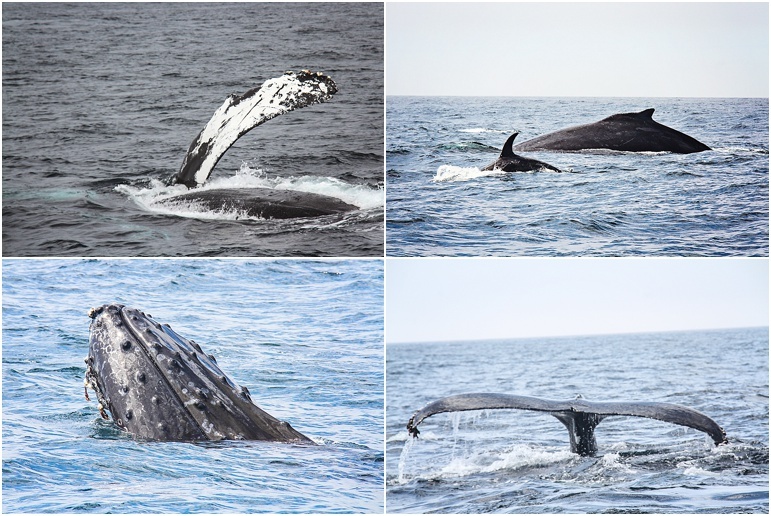 We didn't cage dive or see any great whites but we did see a half eaten elephant seal and tons of humpback whales. If Great Whites are what you are after you need to plan your trip from late September to early November. That's the only time you can see these amazing creatures! If wobbly sea legs aren't on your list of things to do you can also see the famous Pier 39 Sea Lions from land. You will actually smell them before you see them. They are so much fun to watch pushing each other off their dock and then taking a nap. You could easily spend hours watching them. Good thing there is a killer donut shop on Pier 39. Snacks and Sea Lions... what a perfect day. One of my favorite activities in San Fran is renting a bike. You can ride through the streets of San Fran then over the Golden Gate bridge to Sausalito. You can ride yourself or go with a tour. Sausalito is a perfect little town for both shopping and lunch and you can take the Ferry boat back if you don't want to ride back over the bridge! Although you can spend a week just traveling around San Fran there are some great places that you can road trip to from the city. My favorite is Yosemite National Park. Here you can climb half dome, hike to the top of a waterfall, lay in a field and watch the stars fly across the sky, or just bask in the true beauty of nature. When I go to Yosemite I love staying at the Half Dome Village. It's camping with a bit of luxury and a million dollar view. Yosemite has tons of activities throughout the day some of them are free some have a small fee. They include special hikes, educational tours about the park, and even photography classes. I recommend at least 3 days to this beautiful park. Another amazing road trip from San Fran is to Monterey California. Here you can drive along the Big Sur and see some of the fabulous views of the ocean along with some of the most beautiful houses along the shore. 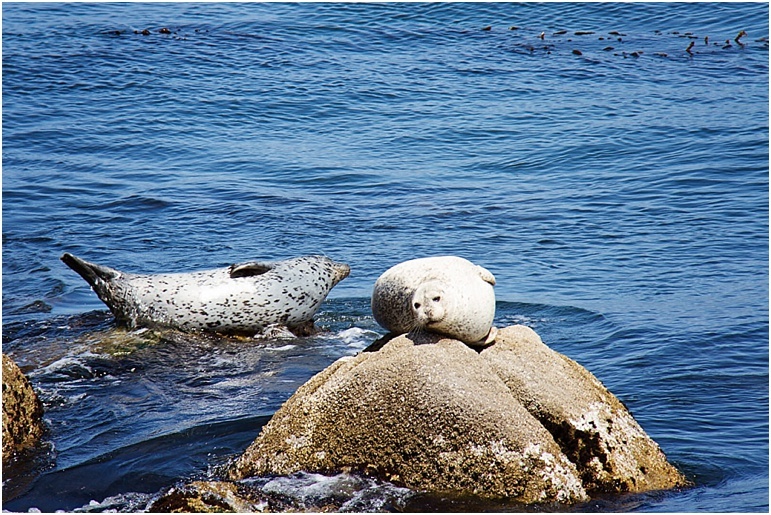 Monterey is also an amazing place for Kayaking, Whale watching, golf, and many more amazing outdoor activities. I may like Monterey better then San Fran. They also have one of my favorite aquariums. It's also one of the top whale watching destinations in the world!